The Whitsundays are located in the hot topics of Australia. With the warm summer weather and year-round high temperatures it is usually pretty hot, where cool temperatures and a break from the heart are welcome. A little air conditioning can go a long way. Several of the boats in the Whitsundays are equipped with aircon to make your trip a little more enjoyable to cool off those warm nights on the water. What boats offer diving in the Whitsundays? Scuba diving in the Whitsundays is an unforgettable experience. As you descend into the depths of the Great Barrier Reef Marine Park, you will discover that there is much to see down beneath the surface. Amazing corals, colourful fish, funny molluscs, and other reef residents await eager scuba divers as they make their way around the beautiful underwater gardens. Australia is a backpacker's dream. With so many amazing places at your fingertips, it is the perfect place to throw on your pack and explore. Bareboating is when you charter a boat yourself - you navigate, live upon and run the boat for the duration of your vacation. There is no skipper or crew, just you, your family or friends, sailing upon the seas. Where did Kiana, Whitsundays, get its name? Kiana, a 16.5 metre ketch in the Whitsundays, is a popular sailboat that was launched in 1990. 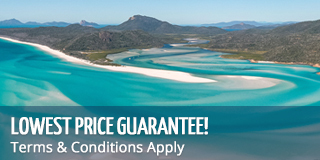 She offers a 3 day, 2 night trip of the Whitsundays and is a favourite among scuba divers. Southern Cross is a day sailing boat in the Whitsundays that offers its guests the chance to sail on board an authentic racing boat. Where did Camira get its name? Camira is the only day sailing catamaran in the Whitsundays that offers snorkelling, authentic sailing and a visit to Whitehaven Beach all in the same day. She is said to be one of the fastest commercial cats on the market and is hard to miss with her bright purple hull and sails billowing above. Derwent Hunter is a 22 metre tall ship that sails the Whitsundays, offering a day trip to explore, sail, snorkel and relax! Her impressive sails and interesting history make her a local favourite, and even after sailing here for 20 years, she still manages to make quite an impression. Here in the Whitsundays she has earned several awards in Adventure and Eco tourism and is a defender of the reef, actively participating in research programs. Where did Condor get its name? Condor is one of the many boats that calls the Whitsundays home. She is a red and gold beauty with an impressive mast, measuring 22 metres in length. She offers guests the chance to spend two days and two nights cruising, sailing and exploring the Whitsunday waters. Where did Apollo get its name? Apollo is an overnight sailing boat that calls the Whitsunday Islands home, and offers guests three days and two nights to explore this beautiful and unique part of the world. Twenty-six guests can sail around the islands in comfort to see what the amazing reefs and islands have to offer for an unforgettable and magical time at sea!